When installing a home or business security camera system, it is very important to think about disaster striking. In the case of a burglary, many burglars may be watching for cameras and attempt to take the recorder with them, and with it the evidence of what has happened. In the case of our AVM (Advanced Video Management) systems, you can also have remote recording, however with most systems protection of your DVR is very important. 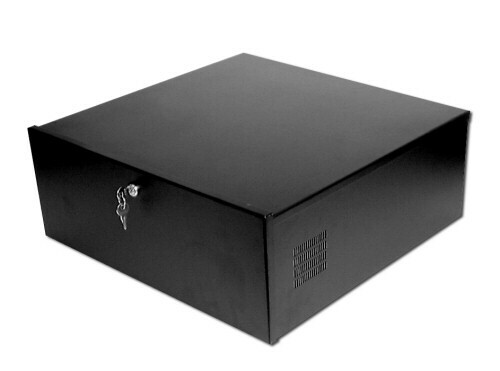 The DQ-18-18-5 is a heavy gauge steel lockbox that is designed to prevent someone from tampering with, destroying or stealing your security camera recorder. 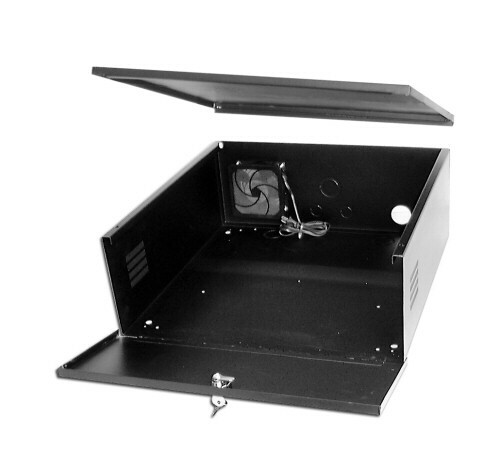 This box is 18" x 18" x 5" dimensions, and has optional wall mount brackets to allow you to bolt to a wall easily. 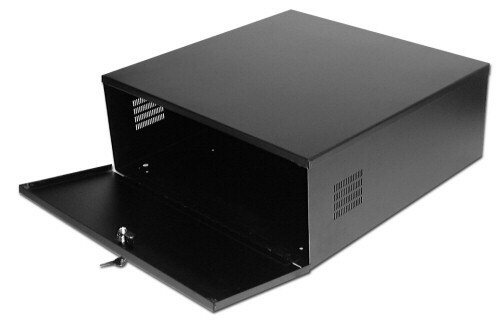 This DVR lockbox has a built-in powerful fan to keep air moving through the box, and keep the DVR and hard drives cool enough for standard operation.